As I mentioned before, the Eid celebration commemorates the sacrifice Abraham took upon himself in a show of devotion to God. 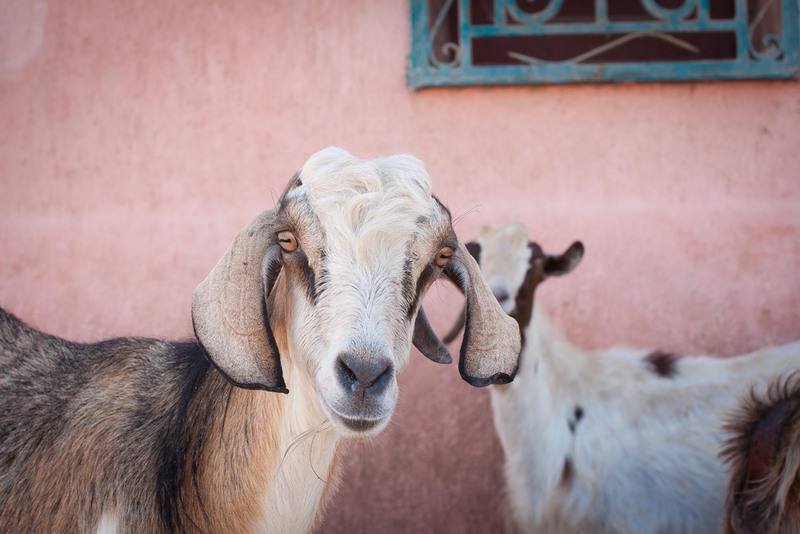 I hit the side streets and alleys of Dahab in the Sinai Peninsula to capture both the slaughter of goats and sheep, as well as the bargaining, togetherness and revelry that goes along with such an important celebration. 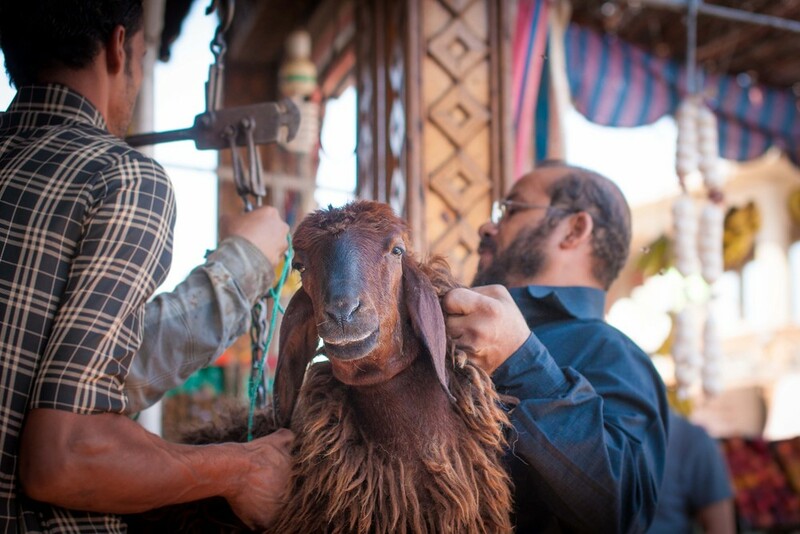 I staked out a position at a butcher's shop, and made small talk (in the most broken Arabic in the Middle East) with a few of the men bartering a fair price for a sheep. As one of the small goats was sacrificed, a man walked up telling me to stop taking pictures. I asked why, and he replied that scenes like these portrayed Egyptians as savages. I reassured him that I had no intention of showing the celebration in that way. His worry that the ritual would show Egyptians in a poor light worried me. Below is my best attempt to honestly convey the story in images. Eid mubarak to all of my Muslim friends! A Bedouin man texts on his phone as he passes goats in the street. Might as well have been his yearbook photo! Keeping it cool. An unfortunate exercise in mortality for this sheep. One of the most enjoyable aspects of the process is the bartering over a fair price. This sheep weighed in at around 50kg, and the going rate was 37 LE/kilo. A man reads Koranic verses in the butcher's shop. To ensure the killing is halal (following the prescriptions of Islamic law) a prayer is said the moment before the slaughter. Additionally, the knife must be incredibly sharp to reduce any suffering. The meat of this small goat will be divided equally to the purchaser, family and the poor. I love this photo. In my mind, it captures the essence of the celebration- the imminent slaughter of the animal, those who died before it, and the juxtaposition it holds against daily life by a fruit stand.